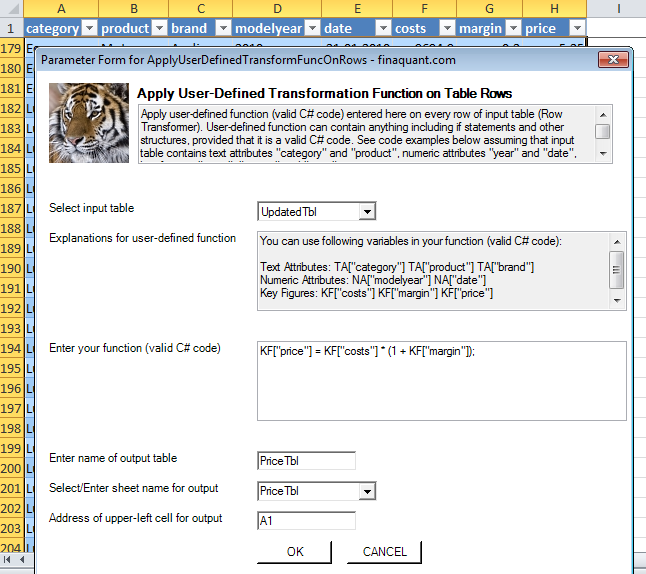 Though simple in use, Transform Rows with UDF (User-Defined Function) is one of the most powerful and versatile table functions. 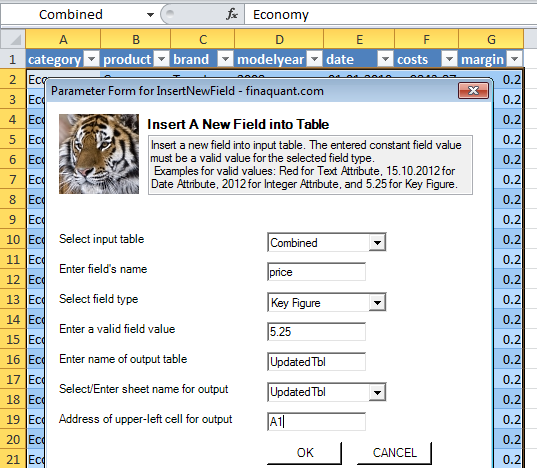 With this function you can manipulate every field of a table row as function of all other fields. A user-defined function (valid C# code) is applied on every row of a table (Row Transformer). User-defined function can contain anything including if statements and other structures, provided that it is a valid C# code. Hence, a user-defined function is more than a user-defined formula. 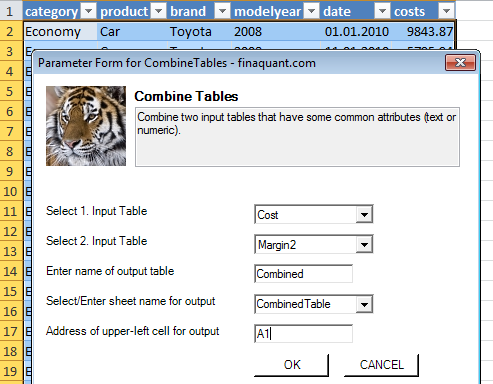 In order to try the following examples yourself you need to download and install Excel add-in for table-valued functions (Finaquant in Excel). You could obtain price table with table multiplication (see table function named Table Arithmetics) but in this example we will use the row transformer with a user-defined function (UDF). Second, insert a new field (key figure) named price into this table. We will calculate the prices in the third step using the row transformer with UDF. This entry was posted in Calculation engine and tagged excel, table functions. Bookmark the permalink.